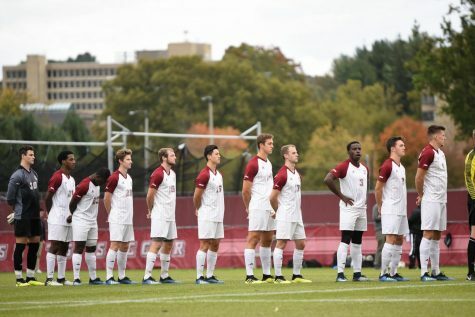 The Massachusetts men’s soccer team’s spirits were dimmed completely after losing its third game in a row on Sunday. 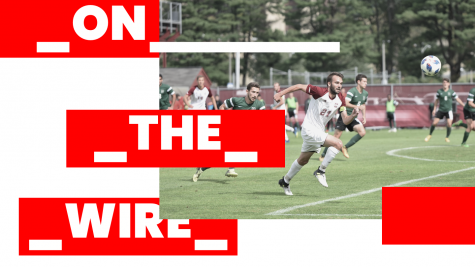 The Minutemen blew a 1-0 halftime lead, and fell, 2-1, to Boston University at Rudd Field in the team’s home opener. 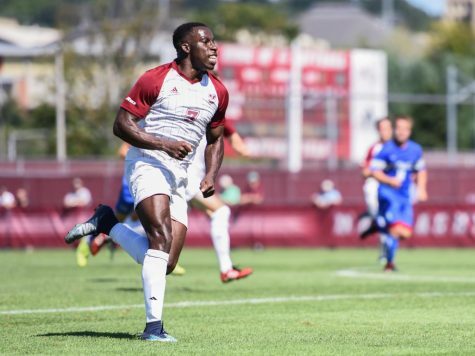 BU forward Cameron Souri scored the game-winning goal in the 85th minute on a feed from Dominique Badji. Souri’s goal came 13 minutes after substitute James Holler had found the back of the net, to knot the score at one. Both goals found the back of the net after goalkeeper Shane Curran-Hays struggled to secure the ball inside the box. 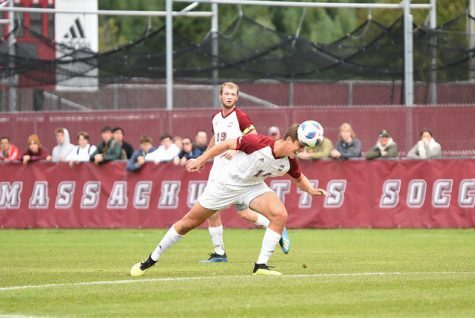 “We stopped the original shots and then the ball bounced free and they were good at getting on the end of them,” said UMass coach Sam Koch. The Minutemen performed well in the first half as the defense was stingy and the offense executed at a higher level than in previous games. “We had some chances to put the balls away, and we didn’t finish them, which was depressing, but at least we created those chances,” said Koch. 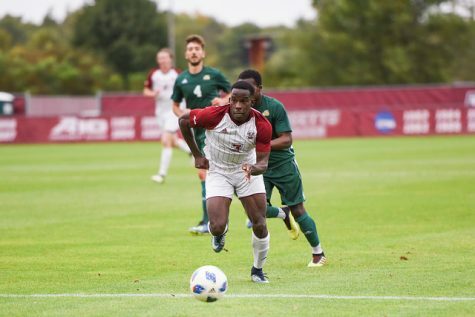 The improvement on offense became evident in the 13th minute when UMass was awarded a free kick in BU’s defensive zone. 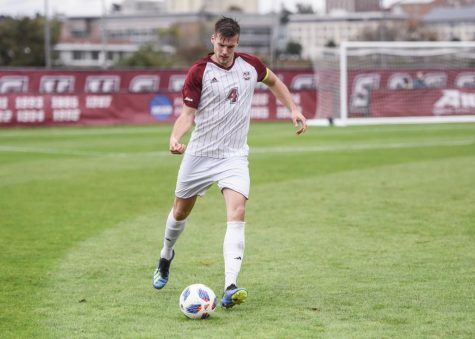 Defender David Key took the free kick and lofted a ball over the Terriers’ defense, where freshman Matt Keys headed to the left of the goalie, sneaking it inside the right goal post. According to Koch, Matt Keys has been a pleasant surprise and early contributor to the Minutemen. 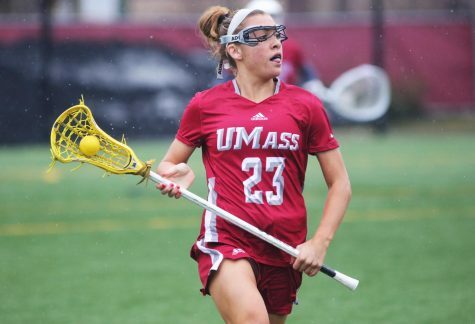 The goal came as a relief to the UMass squad, as they had only scored one goal in their first five games. “We’ve scored one goal so far all season, so I would say that today was an improvement,” said Koch. But their superlative first half play does not overcome their lackadaisical second half play. 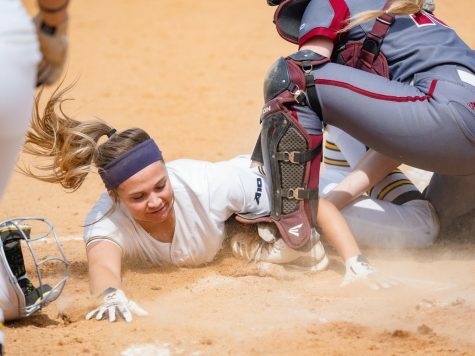 “Unfortunately it’s a 90-minute game and you’ve got to do it for the whole time,” said Koch. One of the key plays which troubled the Minutemen came in the 75th minute with the scored tied at one. BU’s Taylor Washington possessed the ball down the sideline unmarked, when UMass’ Brett Canepa slide tackled Washington and upended the Terrier defender. Canepa was given his second yellow card for the hasty challenge and was ejected from the game, leaving the Minutemen down a man. From that point on, the Terriers controlled possession for the remainder of the game and eventually scored the game-winning goal. The loss dropped UMass to 1-6 on the season, while BU snapped its four-game losing streak to improve to 2-4 on the season. 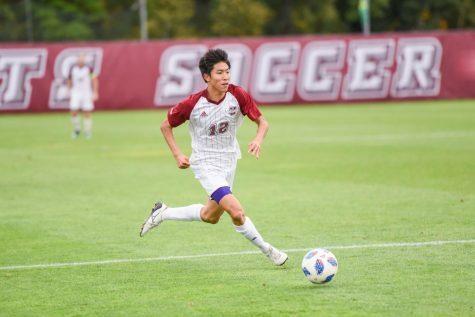 UMass’ Sunday loss came on the heels of a 1-0 loss to Harvard on Friday, its second 1-0 loss in as many games. The story remains the same for the Minutemen: the defense was solid, but not quite good enough, and the offense was anemic. 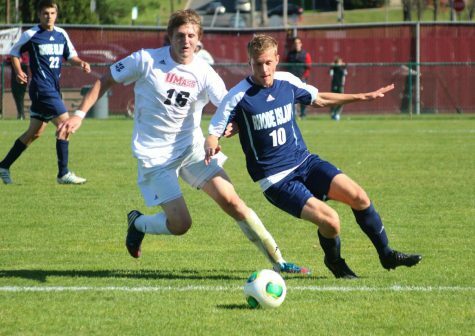 Harvard scored in the 96th minute of extra time on a penalty kick by Scott Prozeller. The Crimson dominated the game, unloading 15 shots, with seven of those shots challenging Curran-Hays. On the other hand, UMass attempted only five shots with a pair on goal. The Minutemen will stay in Amherst on Wednesday for a battle with Hartford, their fourth America East opponent in the last five games.